Update (8/5/2013): The Council is maintaining a list of algae-related swimming advisories on our website. 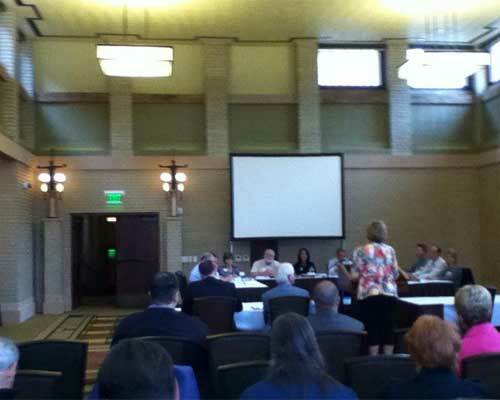 Big Creek Lake was one of several Iowa lakes were public advisories concerning algae blooms were issued in summer 2012. Ensuring a safe, enjoyable visit to Iowa lakes this summer means keeping track of water conditions and being aware of potentially harmful algae blooms. Algae, which are tiny aquatic plants, are abundant in many Iowa lakes because Iowa’s waters frequently have high levels of nitrogen and phosphorous. 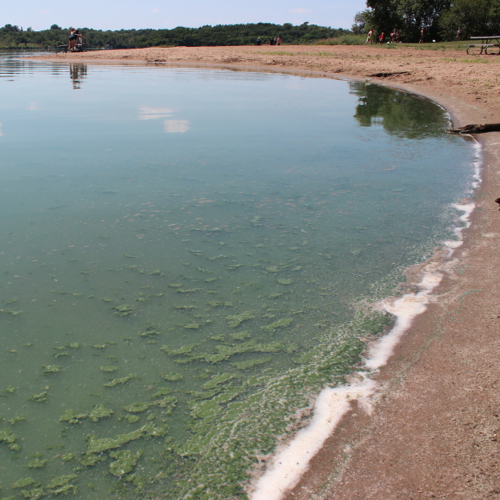 In the late summer, when conditions turn hot and sunny, algae growth can increase dramatically, or “bloom,” threatening recreation and causing public health concerns. 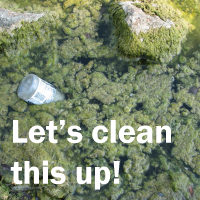 Algae blooms are a nuisance, resulting in green, murky water and visible surface scum. However, certain forms of blue green algae can produce toxins that can make people sick and have been documented to kill dogs, livestock, and other animals. Laboratory analysis is needed to determine whether toxins are present, so Iowans should use caution around any algae bloom they encounter. 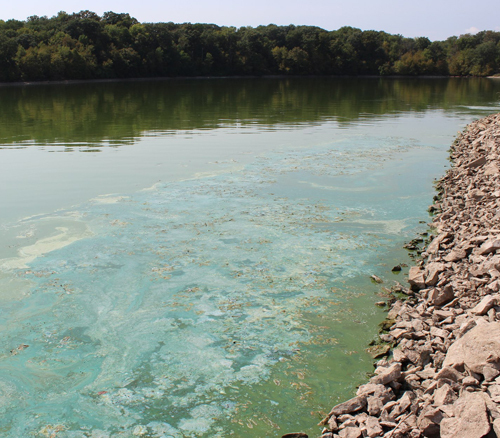 According to the Iowa Department of Public Health, health impacts of blue-green algae exposure can occur through swimming, drinking, or breathing airborne toxins from affected areas. Symptoms include breathing difficulties and skin rash, and children are at greater risk than adults. The Iowa Department of Natural Resources (DNR) monitors beach safety at 39 state-owned beaches with once-weekly water testing. Iowans planning to visit a state-owned beach can call a DNR hotline, (319) 353-2613, to hear weekly beach water quality monitoring information.